Spending time with our families is one of our most prized commodities. Take advantage of every moment, and enjoy discounted tickets at the great park below as an added value of your Florida Farm Bureau membership. Wild Adventures Theme Park in Valdosta, Georgia is a theme park, waterpark, zoo and concert venue families can enjoy for a single, low price. Enjoy thrilling rides for all ages, one of the Top 30 Waterparks in the Country, hundreds of exotic animals, and incredible shows and all-star concerts each season. If you’re not sure of the Florida Farm Bureau Promo Code, contact your county Farm Bureau office or click here to log in and access your digital Member Benefit Guide. Discovery Outpost is a 3-acre adventure area featuring Alligator Alley, a new and expansive alligator habitat where you’ll learn about American Alligators from Wild Adventures zookeepers and even have the chance to hold and feed them! The adventurous can brave the Gator Bridge, a netted rope bridge suspended seven feet above the alligator habitat at Alligator Alley. 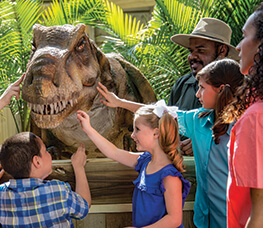 Discovery Outpost also features six family-friendly rides and leads directly into the Alapaha Trail, where you’ll meet native and exotic species on a boardwalk that snakes through a real Georgia swamp to the home of Wild Adventures’ oldest and largest alligator, Twister. Dinosaur Explore features 15 species and more than 20 “larger-than-life” dinosaurs that move and roar just like they did when roaming the earth millions of years ago. Families will come face-to-face with a giant Tyrannosaurus Rex, a 26-feet-tall Brachiosaurus, a Three-Horned Triceratops and many more. Parents of 3 to 5-year-olds can register their children for a Pre-K Free Kid’s Season Pass online at WildAdventures.com/Pre-K. The free pass can be used for visits for all of the 2019 season. Included with park admission, the 2019 All-Star Concert and Special Events Lineup features legendary acts and rising stars. 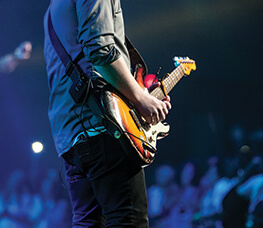 Experience amazing concerts, including Skillet, Scotty McCreery, Foreigner and more! And have fun with the whole family at the Big Top Circus, featuring the Anastasinis, Nathan’s Famous Hot Dog Eating Contest, Celebrate America Week and and entire season of special events. Wild Adventures will also Light Up the Sky in July with fireworks, including a Fourth of July Fireworks Spectacular. Night owls can take advantage of extended hours during Moonlight Madness this summer. And Halloween and Christmas celebrations will be bigger than ever. So, take a break from your daily routine, and give your family a much-needed and affordable Georgia vacation at Wild Adventures Theme Park. 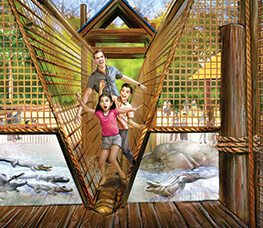 For more information, full concert and events calendar, operating days and park hours, please visit WildAdventures.com.